I've actually finished something. And look at that pretty holly binding! 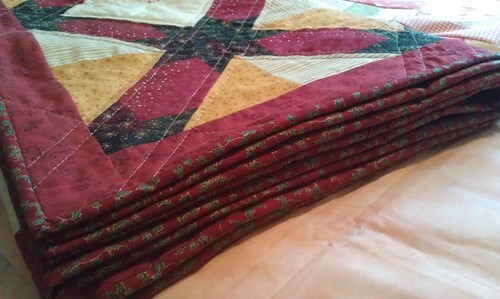 I actually used up the entire piece of red holly fabric I had on the binding which is spectacular since I'm not sure I like doing Christmas quilts, even if I love the fabric. 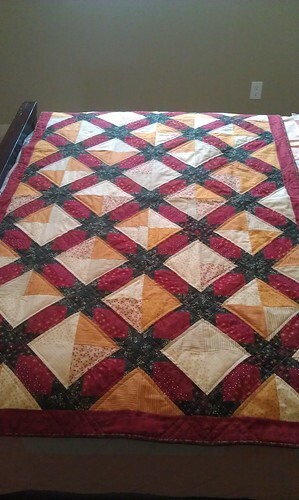 And not only did I finish something, I finished a quilt I really really did not like. 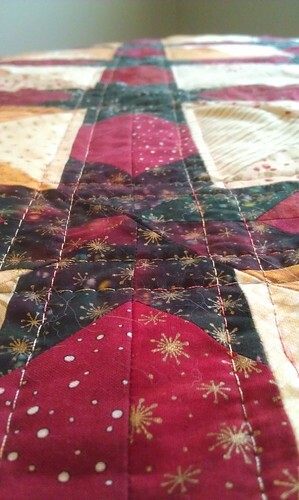 Although I DO love these stars. 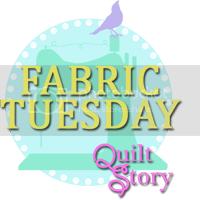 And the thread I ended up with for quilting. Ok, I kind of love the whole thing, when I don't let myself remember all the screwups and corners that don't quite meet. My Thanks to Lovely Year of Finishes for motivating me to finish this sucker. That I actually LOVE now that it's finished. Great job on your finish! 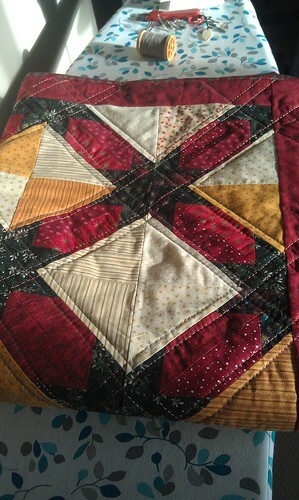 I love your quilt! Any little screwups make it unique and special and helpful for learning. And usually, you are the only one who sees them!